​ with hard work, dedication and a body powered by plants. 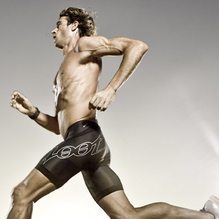 Can Vegans Be Top Athletes? what can be achieved when plant-based. ​ well as blogs, lifestyle tips and more. and what I eat in a day. ​ and data to ensure the best results. with info, recipes and featured athletes. and a self confessed 'vegan fitness freak'. bestselling author. If it's inspiration you need, Rich is your man. on all things health, fitness, diet and nutrition. on long distance running, from author and runner Matt Frazier. for those who need that extra push. to get fit and stay fit. The site also includes recipes and travel stories. with articles, books, forums and more. with lots of info and a blog. in this easy to follow training program packed with useful info. an especially good starting point for beginners. If this book doesn't inspire you to get moving, nothing will. to becoming one of the fittest men on the planet. The story of Jurek's journey to the pinnacle of ultra marathon greatness. Also includes some great plant-based recipes. style. Includes plant-based diet advice and a marathon training program. building muscle and losing fat on a vegan meal plan. (or considering) vegan diet and fitness. guesswork out of plant-based fitness nutrition and exercise program design. Great for beginners and seasoned lifters alike. on animal protein, explaining why it is detrimental to our health. high protein recipes to fulfill your protein goals while maintaining health. ​ recipes are plant-based and nutritionally complete. ​ to fuel your workouts. "Don't overthink it. Just begin."